I first experienced brewing when I was about 18. My friend Adam and I invested in some home-brewing equipment and my interest grew from there. My brewing career started in 2003, when a colleague of mine introduced me to his friend who happened to be the founder of Bath Ales. I joined as a trainee brewer and the rest as they say is history. My main source of inspiration comes from meeting and talking to other brewers and drinking lots of different beers and styles from around the world. After I try a new beer I then try and work out how it’s made, so I can brew my own – hopefully better – version! There are beers on the market that have some unusual ingredients, what’s the oddest ingredient you’ve ever experimented with, and was it a success? I’ve had fun brewing with lots of different ingredients over the years, most with good success. The highlights include: spices, citrus peels, cocoa nibs, toasted coconut and cherries. There’s nothing outrageous on my brewing ingredients’ repertoire as yet. One of my team devised a recipe with beetroot a few years ago, which I don’t think had ever been done before – or since for that matter! What’s the most memorable beer you’ve ever drunk, and why? I think it would be hard to top drinking Westvleteren 12 Trappist beer in the café opposite the Sint-Sixtus Abbey in Westvleteren. In my opinion, it’s arguably the best beer in the world. What was the first beer you ever brewed, either professionally or homebrewed? My first homebrew was Firkin Dogbolter made from a tin of extract, if anyone remembers that? My first professional brew was Bath Ales’ Gem; I’m proud to see how the ale remains our flagship beer. How are the ingredients used at Hare Brewery connected to the local area? A large proportion of our raw ingredients come from nearby counties; many of our hops come from Herefordshire and malt is sourced from Cornwall, Berkshire and Wiltshire. All of our spent malt (our brewing by-product) goes directly to local farmers to feed their cattle. Our spent hops are collected by local allotment holders, who use it for composting and fertiliser. I’ve been told it creates very good soil for growing veg – sounds like the beginnings of a good Sunday roast! I have brewing friends working in Ireland, Scotland and Germany and I would love to work with them at some point. Collaborations are a great way to meet fellow brewers and other people in our industry, try new things but most importantly, are an excellent way to learn new skills. For that reason, I would be happy collaborating with nearly anyone, locally or on the other side of the world! I was very proud to be involved with the designing, commissioning and launching of Hare Brewery. 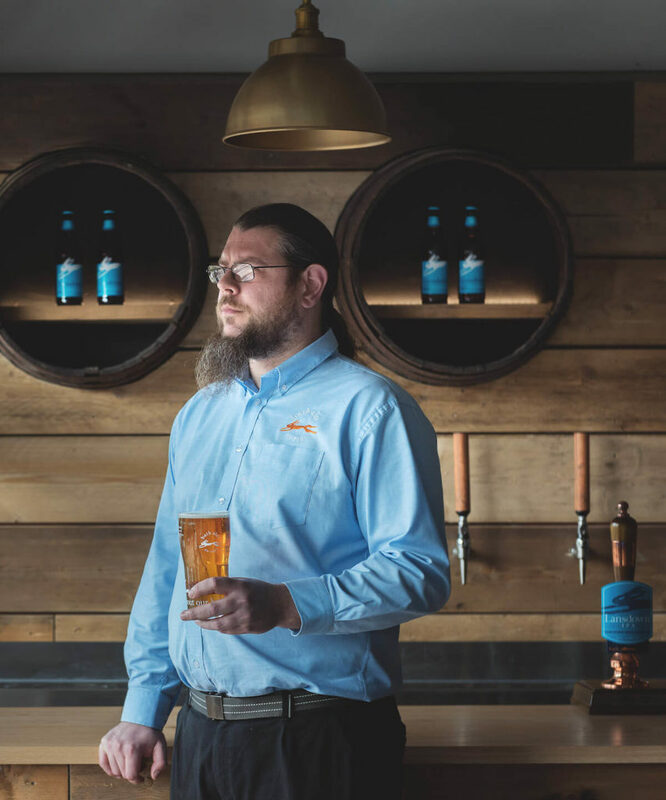 It is a fantastic showpiece brewery utilising equipment with the highest technical specifications, which ultimately means we’re able to produce the best beer to the highest possible standard. Cheers to that.